Mountain View Champions Park opened to the public on October 2, 2017. 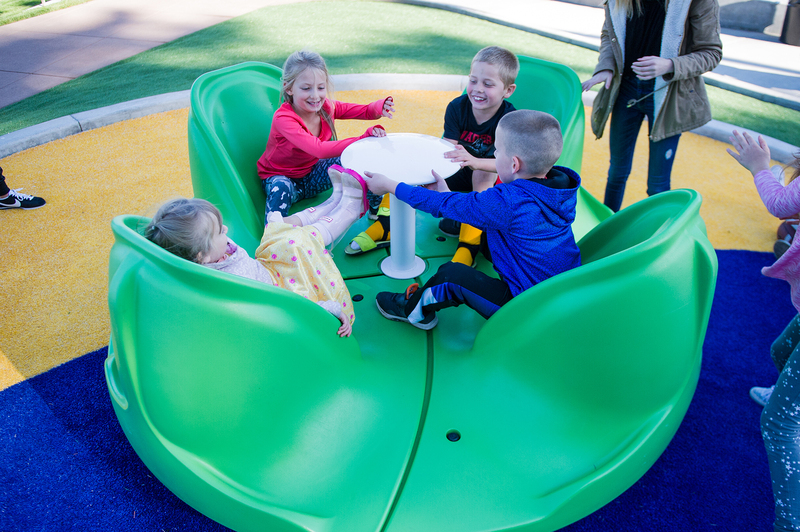 It features an inclusive playground, Champions Too field, and wide pathways. THPRD is committed to providing all citizens with the opportunity to participate in the public process, programs, serices, and activities. We commit to doing this with parks and facilities that are accessible to all patrons and visitors. We fully support and strive to maintain compliance with the Americans with Disabilities Act, and encourage patrons to let us know when conditions are non-compliant or otherwise unsatisfactory. THPRD is looking for your feedback. If you have comments or concerns about the ADA access in any of our facilities or parks, please contact Keith Watson at kwatson@thprd.org. 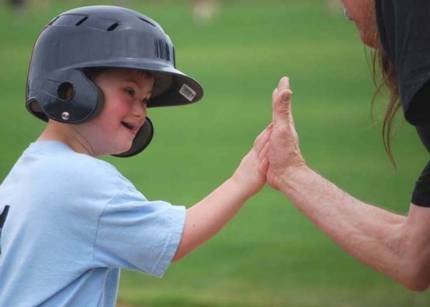 Our Adaptive and Inclusive Recreation program gives people with developmental disabilities the opportunity to participate in recreational, educational and leisure classes, events and field trips. Our activities guide includes a list of specialized recreation offerings. THPRD promotes the power of choice to enhance the quality of life for individuals of all abilities. We do this by providing diverse, accessible recreation in an environment that promotes dignity, success and fun. Through inclusion services, we may provide reasonable staff support for those who prefer other THPRD programs and/or activities. In partnership with Tualatin Hills Park Foundation, THPRD staff, programs and facilities support Access For All to expand inclusive and unifying recreational activities for all members of our community.